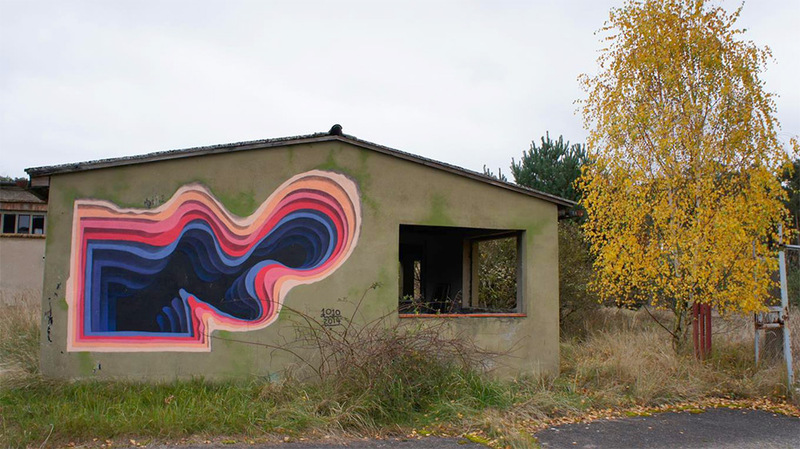 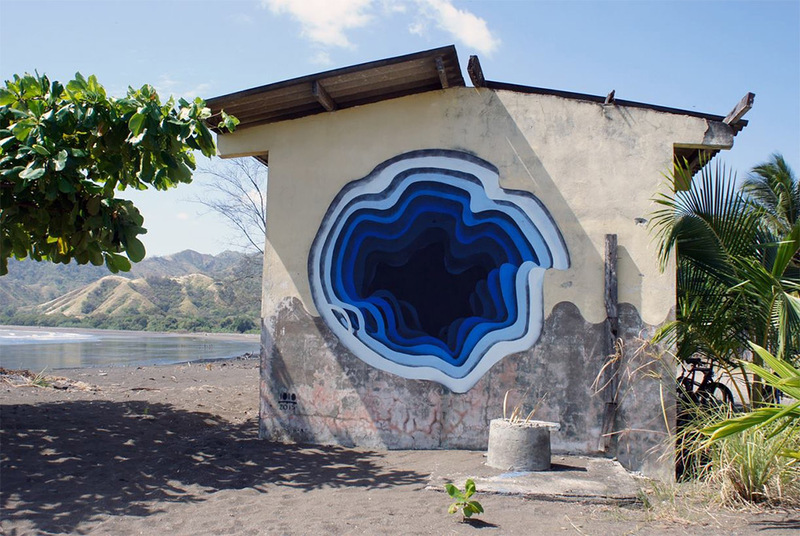 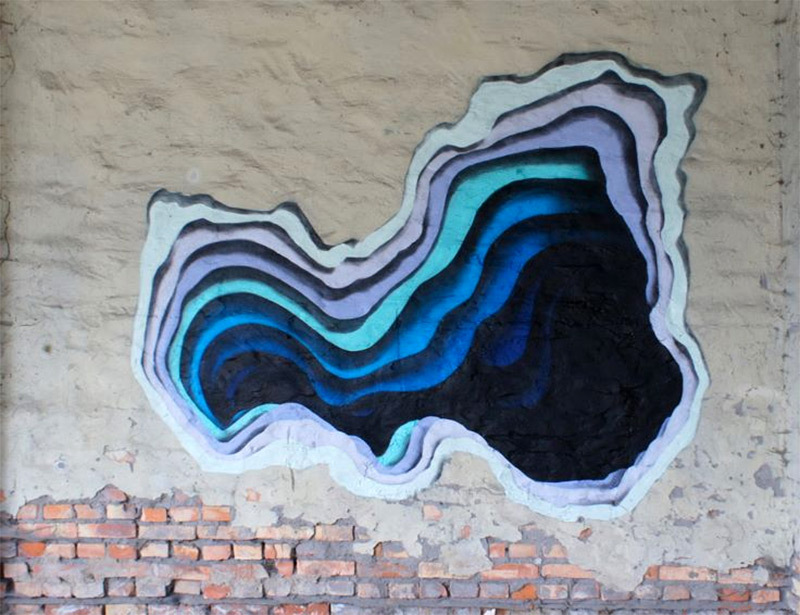 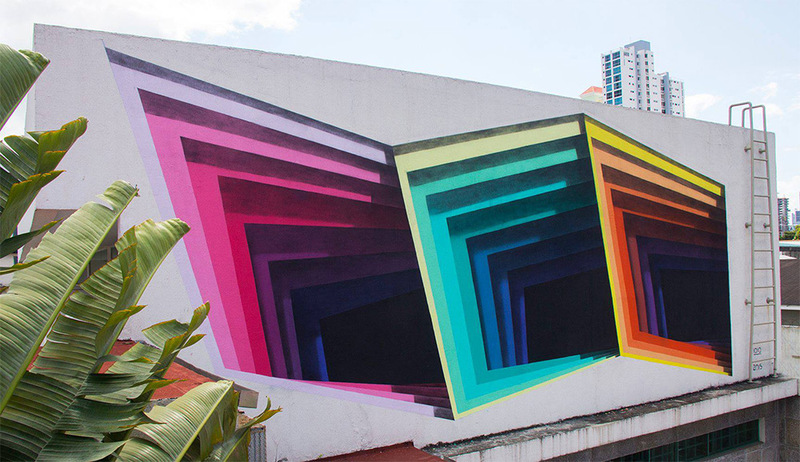 If you happen to visit Germany, Panama, or the United States then you must check German street artist 1010’s portals murals featuring concentric layers of color. 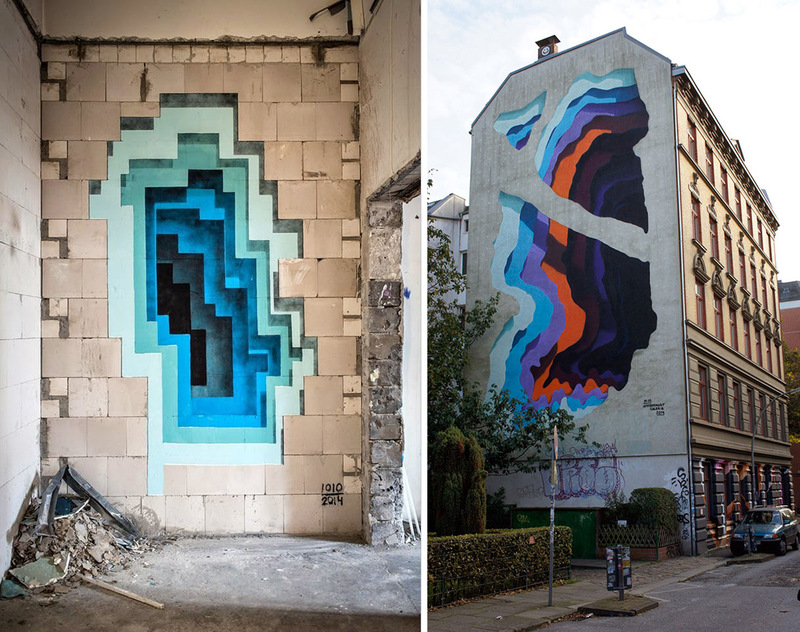 He managed to entail layers of depth to dreary surfaces and blank gallery walls. 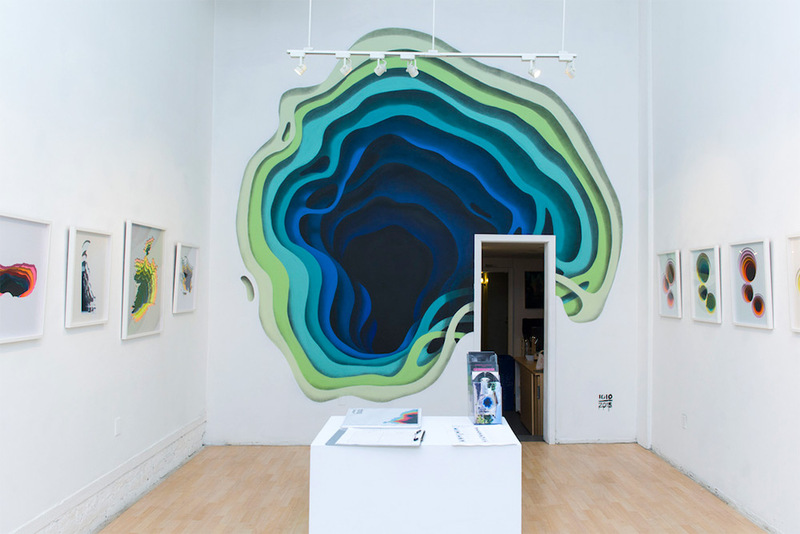 His most recent gig was a solo show at Hashimoto Contemporary in San Francisco entitles Limbus. 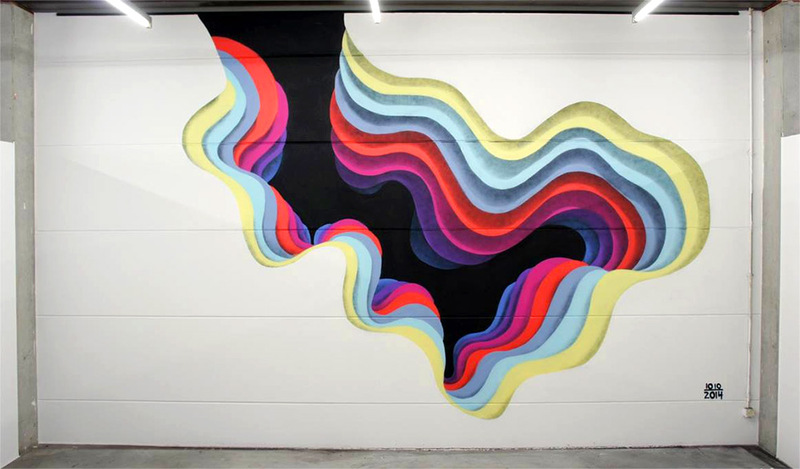 For more details, check Juxtapoz and Facebook.